I'm just a little bit caught in the middle. Which Banner do आप prefer? Do आप think this spot needs a new banner? प्रशंसकों के पसंद: And many more!! Are Jared(Sadie,Harley) & Jensens (Icarus) कुत्ता play mates? She came out onstage during the costume contest with someone dressed as Ruby and she was giggling and when he asked for their names she कहा “Mrs. Padalecki!” but it didn’t really sink in that it was Gen until she left. TVGuide.com: Were आप extra-nervous doing Ruby and Sam’s प्यार scene, knowing that the boys get precious few of them? Cortese: There were two things at play. One, I figured they’re not going to be looking at me anyway; they’re going to be looking at Jared. And two, I was और nervous because he is so big and so tough! [Laughs] Jared’s muscles… I mean, his arm is like the size of my body!" TVGuide.com: That scene just cued up here on my DVD player… Look at आप two! Padalecki proved और traditional than Cortese: “He wanted our pictures taken after we were married. It was really important to him to NOT see me in my dress,” Cortese said. How do u like this couple? 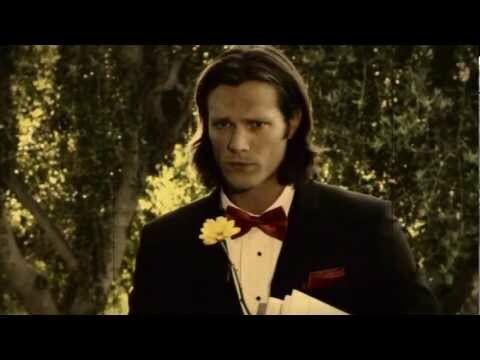 OFFICIAL GEN&JARED WEDDING PIC ALBUM RELEASED!